Give a statement to your floor with this beautiful silk on silk handmade carpet. This is a very exclusive piece in Rugs and Beyond collection. This is ideal for the traditional home decor. - Beautifully handcrafted in pure silk. This beautiful carpet is woven on a hand-loom. - It contains kashan Medallion design pattern. 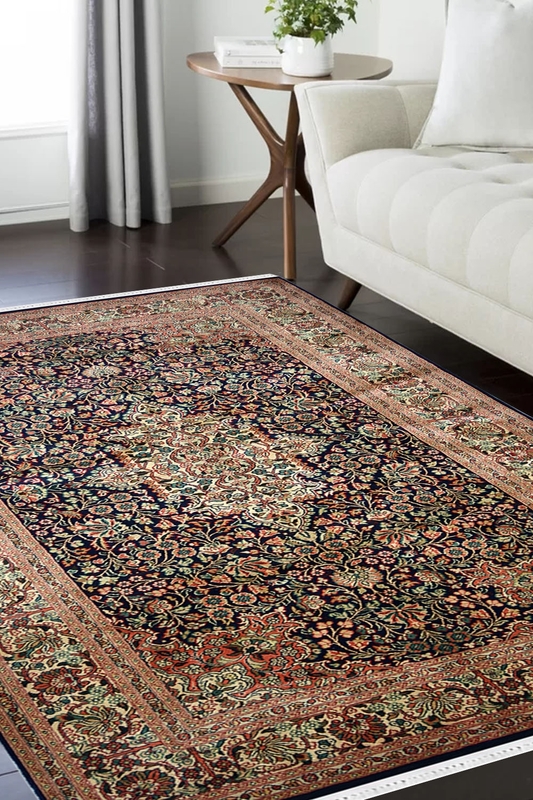 Kashan design is a very traditional design pattern and has been originated from Persia. - This carpet is 100% hand washable. - Technique. Warp and weft both are in pure silk.